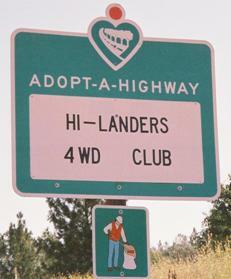 Welcome to the Hi-Landers 4WDC Adopt-A-Highway page. As of October 12th, 2009 the Hi-Landers have opted to discontinue this Highway Cleanup Project. 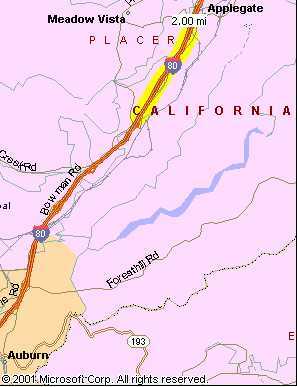 The section was located on Interstate 80 at Clipper Gap, CA. The Hi-Landers Four Wheel Drive Club is a highly community active club. One of our contributions was highway clean up on our Adopt-A-Highway section of Interstate 80 located between the Clipper Gap and Applegate exits just above Auburn, CA. Please help keep America clean by properly containing your trash within your vehicle. Remember if you can pack it in you should pack it out. Copyright 2009 hi-landers.com. All Rights Reserved.